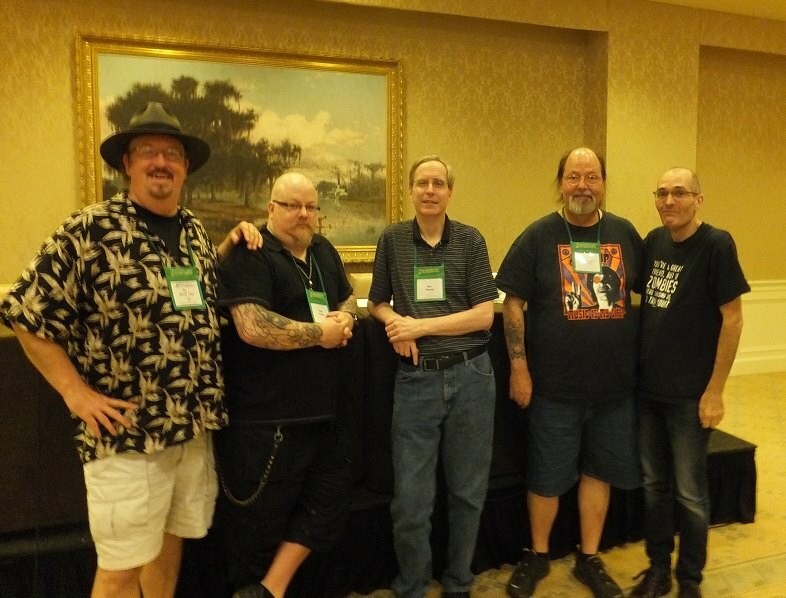 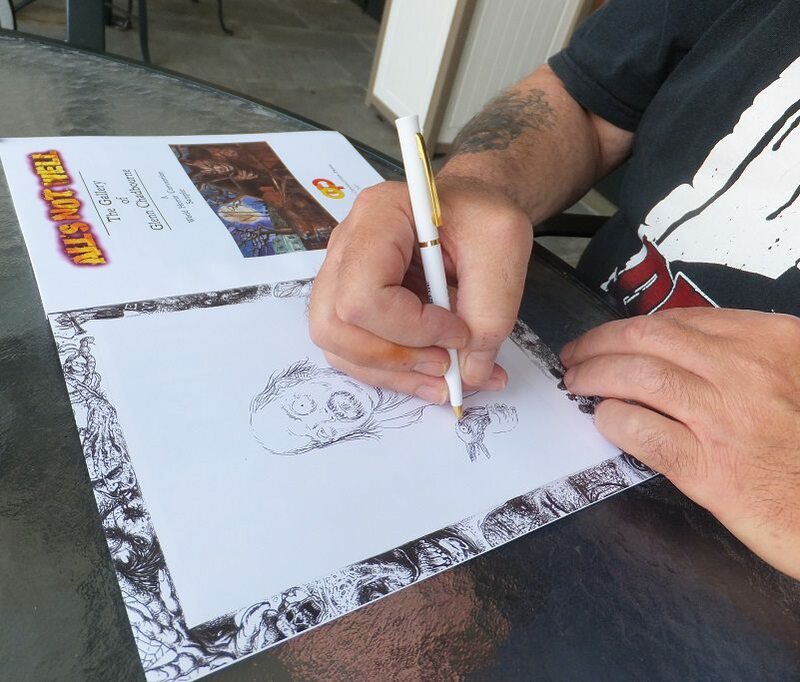 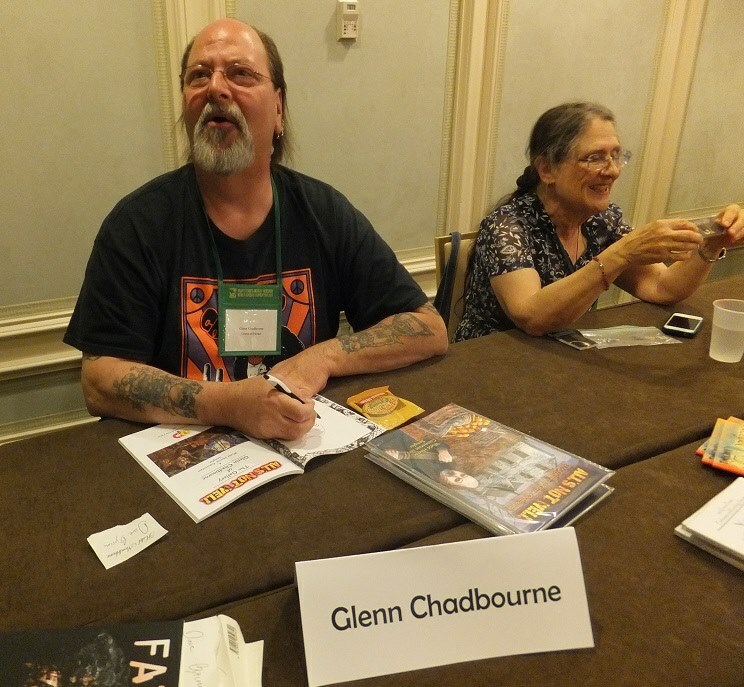 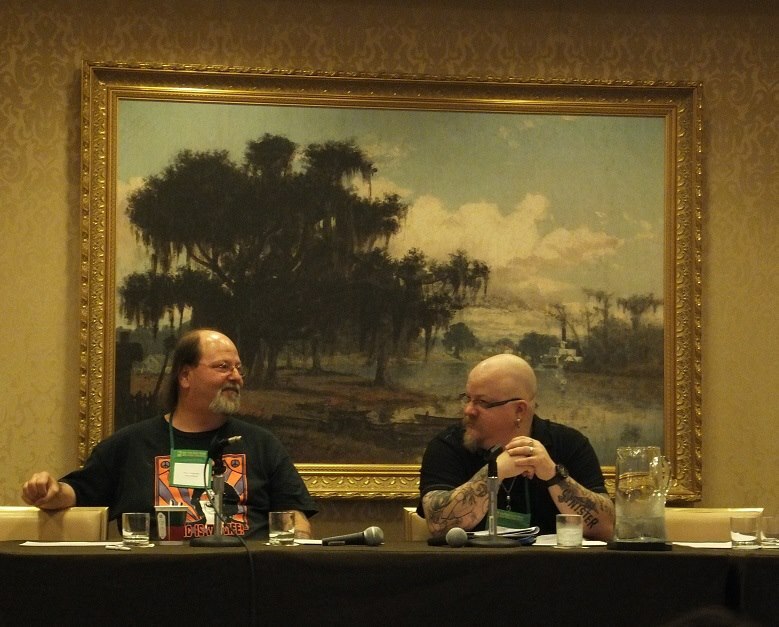 Glenn Chadbourne was the artist Guest of Honor at the 2013 Bram Stoker Awards Weekend Incorporating The World Horror Convention. 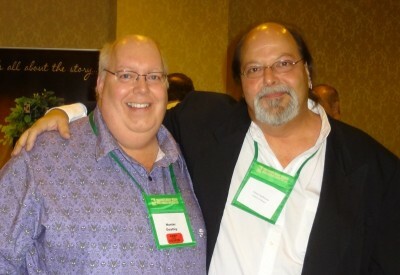 The event took place at the Hotel Monteleone in New Orleans, LA, on July 13–July 16. Thanks to Dave Hinchberger, here are a few photos of Glenn from the weekend. Click on any image to view a larger version. The ALL’S NOT WELL sampler produced for WHC 2013. 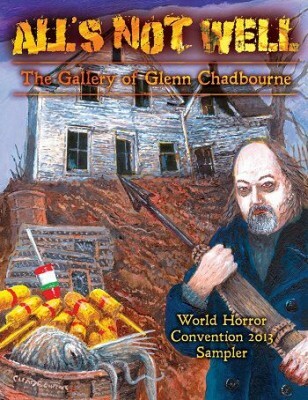 The full book will be released on Halloween in 2013 from Overlook Connection Press. Glenn with his some of his artwork on display in the WHC 2013 Art Room. Chad Savage condunction the WHC 2013 Artist Guest of Honor interview with Glenn Chadbourne. 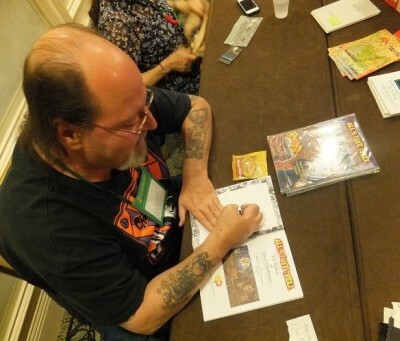 Glenn remarquing a copy of the ALL’S NOT WELL sampler at the WHC 2013 mass signing. Glenn remarquing ALL’S NOT WELL at the 2013 WHC mass signing. 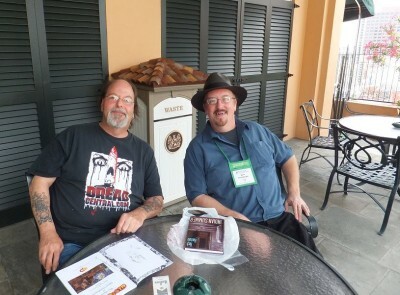 Glenn Chadbourne and Dave Hinchberger of the Overlook Connection Bookstore and Press, relaxing at WHC 2013. 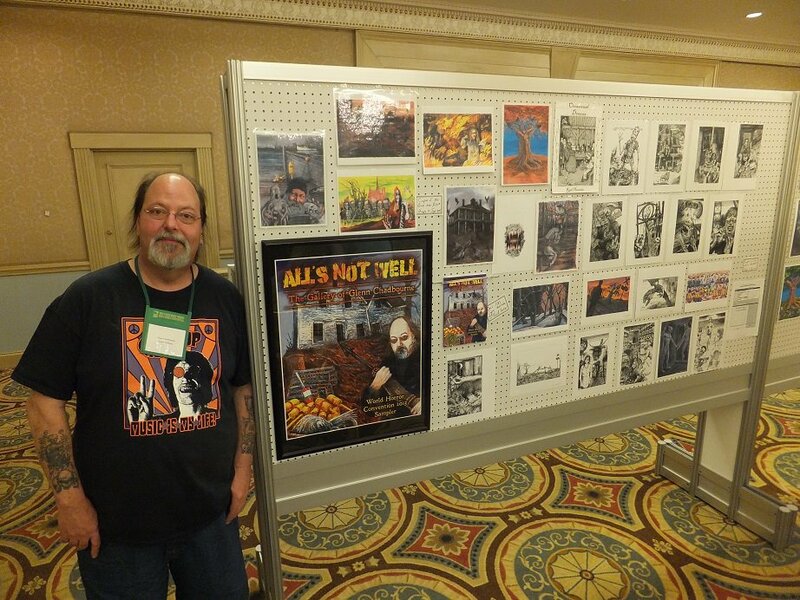 Glenn remarques a copy of the ALL’S NOT WELL sampler at WHC 2013.